In the online gambling industry, there are only few organizations with a difficult mission to raise the standards and protect the player's online tournament experience. The biggest and surely the most influential one is eCOGRA. It is the acronym for eCommerce and Online Gaming Regulation and Assurance. eCOGRA is an independent and non-profit organization. It was founded in 2003 by a group of interested parties with the main aim to establish high standards for online gaming industry including online casinos and poker sites. The company's headquarters are in London, with the daily functioning full-time staff that has considerable industry experience. eCOGRA can be trusted as it is trying to determine the proper direction and enforce high standards of the online gaming business. 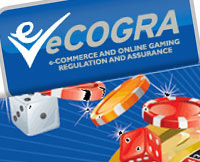 eCOGRA is supervising fair gaming, protection of players and responsible operator conduct. It is the regulatory organization that audits and monitors the online gaming sites. The main its function is to engage them to lawful working. eCOGRA works in the field of e-commerce and online gaming and it craves to create regulation and assurance that will make jurisdictions, operators, players, software providers more mature, as it is vital issue for all involved in this sphere. eCOGRA does not intent to affect the rights of the existing reputable casino jurisdictions and to compete with them. It endeavors to compliment their effort in this field. It should be also added that eCOGRA's principles and methodologies for ensuring gambling legality are recognized by the Gibraltar, Malta and Kahnawake licensing authorities. The sites that want to get the eCOGRA's reputable seal must comply with its strict guidelines. They also should keep in mind that they will be regularly reviewed to meet the standards set by the eCOGRA organization. There are many concerns about online gaming among the players. They are familiar to everyone: honest gaming and safety of the player's money. Many of the future players hesitate whether to put money into an online casino because they are concerned about not knowing where to go in case they are not get paid when they win or they lose their money because of the rigged games. eCOGRA is working hard to assure that the online casinos are giving the players a fair and transparent games. They offer an honest and objective review of the online gaming sites. 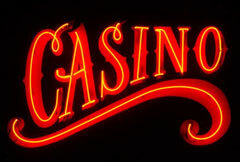 Any player can get Casino Listings and find casinos that have gotten the reputable eCOGRA's seal on the Internet. All the online gaming sites carrying the eCOGRA "Safe and Fair" seal are reputable and have the best quality. When an online casino or any other online gaming site is certified by eCOGRA , they have the right to display the "eCOGRA Play It Safe" logo on their site. eCOGRA has checked almost 150 sites (many of them are the Microgaming casinos), using only reliable software from over 20 leading developers. Nowadays it is advisable to look out for casinos having eCOGRA seal, as there are thousands of casinos in this business field. Playing at these online sites gives the obvious benefits such as safe gaming experience and valuable protection.